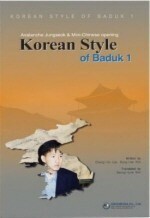 Produktinformationen "Korean Style of Baduk 1"
This book will help you to develop your understanding of joseki and fuseki. It distills a comprehensive study of Korean professional games into simple prose to give you an edge when you play. The co-authors are Lee Changho 9p, one of the greatest Go players of all time, and Kim Seungrae 4p. Lee Changho was practically unbeatable in the late 20th and early 21st century and his dominance spanned a period of more than 10 years. Kim Seungrae, who has written many Go books, has a passion for teaching Go and holds a Masters in Education. Weiterführende Links zu "Korean Style of Baduk 1"
Unser Kommentar zu "Korean Style of Baduk 1"
Kundenbewertungen für "Korean Style of Baduk 1"